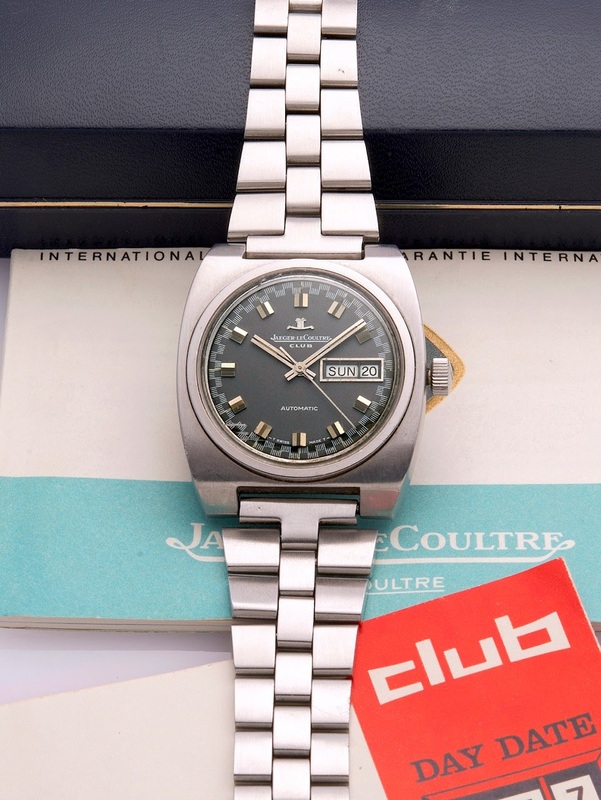 JLC - A watch to celebrate our Funky Week End: Jaeger Lecoultre Club Day Date, Ref 300205, from 1969. A watch to celebrate our Funky Week End: Jaeger Lecoultre Club Day Date, Ref 300205, from 1969. An excellent year for a funky Jaeger-Lecoultre, the ref 300205. At a moment when a calendar in a watch was a real technical plus. Cal AS 1906, this is the second surprise, at there were very few Jaeger Lecoultre with outsourced movements, chronographs apart. Please post your funky watch on our Funky Friday Wristscan! Again an amazing watch. Are there any watch related books you recommend or certain books with overviews from the 60-70-80s that list such watches?